An African by birth, Adrian became a monk and an abbot in Italy, and finally supervised a flourishing school in Canterbury. 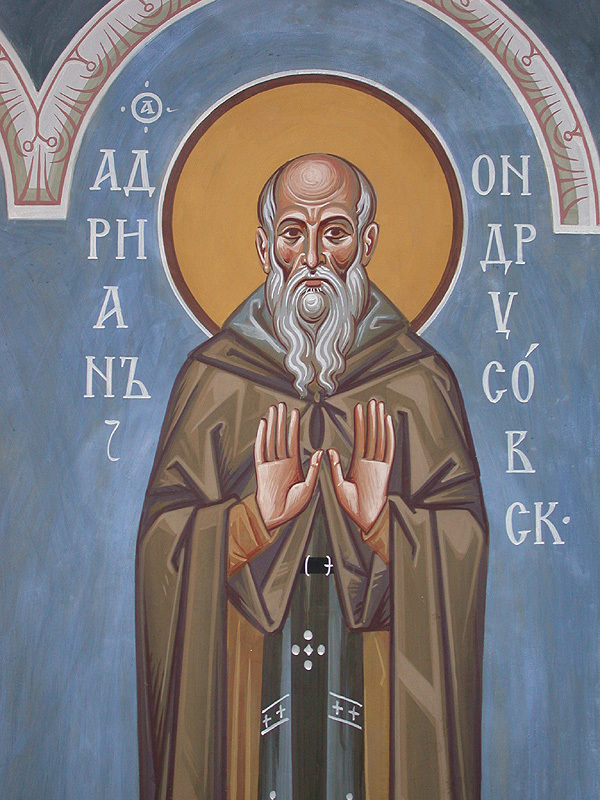 An African by birth, then a monk and an abbot in Italy, and finally chosen to accompany the Greek monk Theodore of Tarsus to become archbishop of Canterbury, Adrian supervised a flourishing school in that cathedral town. Patrick Duffy tells his story. An unusual appointmentAdrian was born in Africa and became a monk and eventually abbot of Nerida, not far from Naples. In the early years of the See of Canterbury after St Augustine, the archbishops were chosen from the companions who had come with him from Rome. Two Englishmen then succeeded, but as both fell victim to the plague in 664 and 665, the pope of the time, Vitalian (657-672) wanted to appoint Adrian. He refused but suggested the nomination of a Greek monk Theodore of Tarsus. Vitalian accepted this suggestion, provided Adrian accompany Theodore as his adviser and helper. Which he did. Death and influenceAdrian worked at Canterbury for nearly forty years, far outliving Theodore. He was buried in the church of the monastery. His body was still incorrupt when renovations made the translation of Canterbury saints necessary. Many of the miracles for which his tomb became famous were in favour of boys who studied in the monastery and were in trouble with their masters.